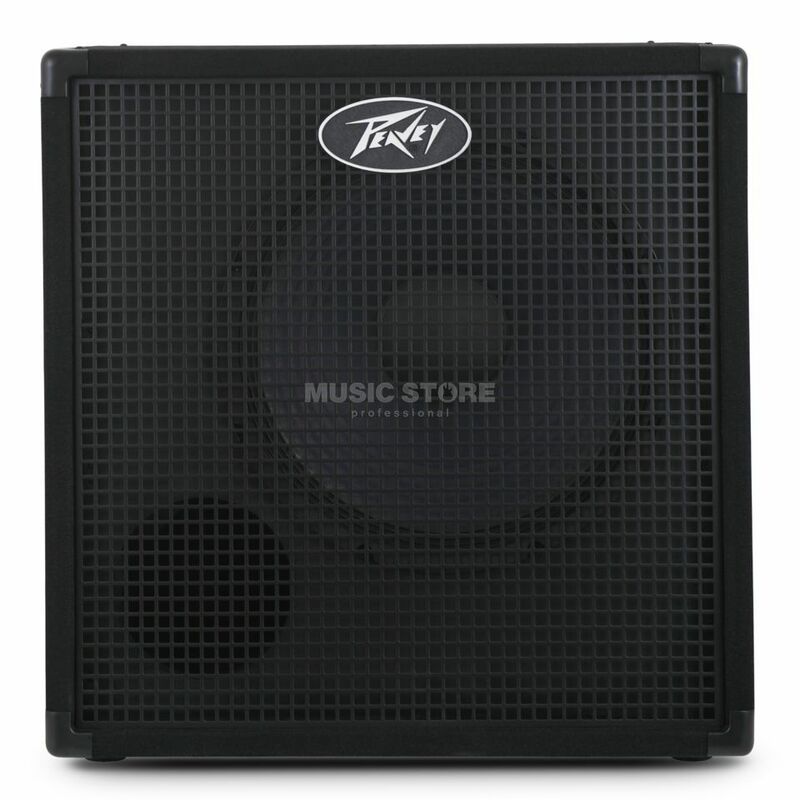 The Peavey Headliner 115 Bass Guitar Amplifier Cabinet is part of the newly re-designed series from Peavey. This Bass cabinet is perfect for musicians on a budget without wanting to miss out on quality. The Headliner 115 is constructed from internal bracing and is covered in travel-ready black carpet. On the front of the Headliner 410 is a powercoat 16 gauge metal grille. The Headliner 115 is loaded with a 15” Sheffield bass woofer which produces classic rich bass tones. The cabinet itself is sealed tightly to guarantee tight bass notes. With a peak power of 1000 watts, the Headliner 115 can be used with any reasonable sized bass amp head. For a 4 ohm total load, easily stack the Headliner 115 with the Headliner 210 cabinet. I bought this cab to use as an extension for bigger gigs with my old Peavey 1516. Out of the box the cab is fairly light to lift out of the packing. The cab looks well covered but in carpet not vinyl which is much lighter but not as robust but looks cool enough though with its metal grill. There are options on the connectivity on the back panel of 2 traditional jack sockets or a Neutrik locking socket. The rear panel looks very weak and mine arrived with a slight crack already in the panel. This panel should be made of metal to stand up to regular gigging. Plugging in, with a slight adjustment to my amp settings the cab produces a warm ported deep bottom end. Not as brite as my old Peavey 15&8 but exactly what I wanted. My only other gripe is that there are no detachable castor wheels as on the Warwick cab for the same price. I hesitated between the Peavey and the Warwick 15" but wanted a matching cab. If you are buying two cabs the Warwick offers slightly better spec.